I can't believe that it has been three years since I started doing what I do; the evolution of the designs and the following of my label has grown immensely. 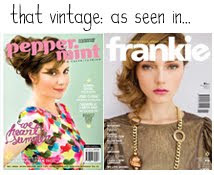 It's such a sweet thing, to this very day, to hear words of praise and compliments for That Vintage - when it all just started out as a little hobby three years ago. 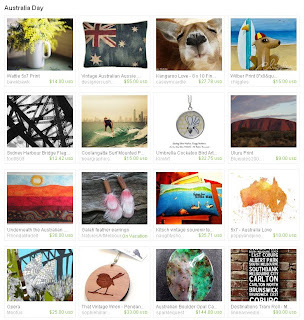 Firstly :: Free Australian shipping is happening over at the That Vintage Etsy store for the entire month of February - this means you save up to $8.00 and your purchase will still be sent with registered mail! Secondly :: giveawaaaays... yep! But... you must wait for this! 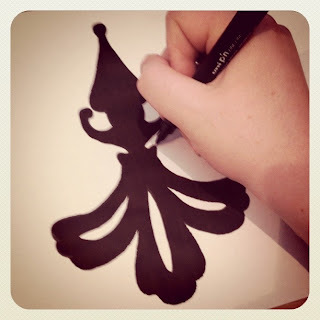 And Thirdly :: The new range will be released, along with a pretty special and amazing photoshoot (which I'm so excited to get done!) by the talented Jesse Hunniford. Another new piece for the next range from That Vintage. 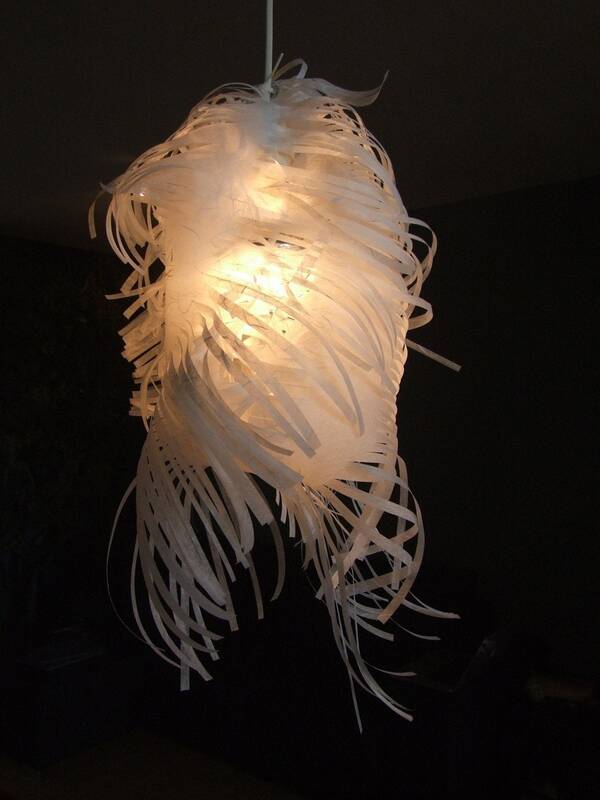 Beautiful origami Lionfish lampshade by the Dutch label GreenWallNL. Hand made from glowing silk paper, producing a warm soft light, each one unique - truly beautiful, I want! Picked By The People - Part Four. 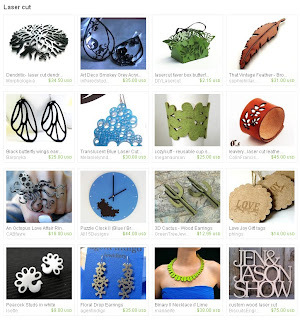 Three more treasury lists on Etsy featuring a piece of That Vintage. 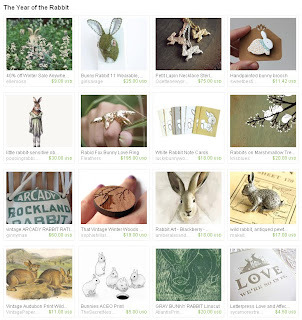 Really love the bunny themed one! 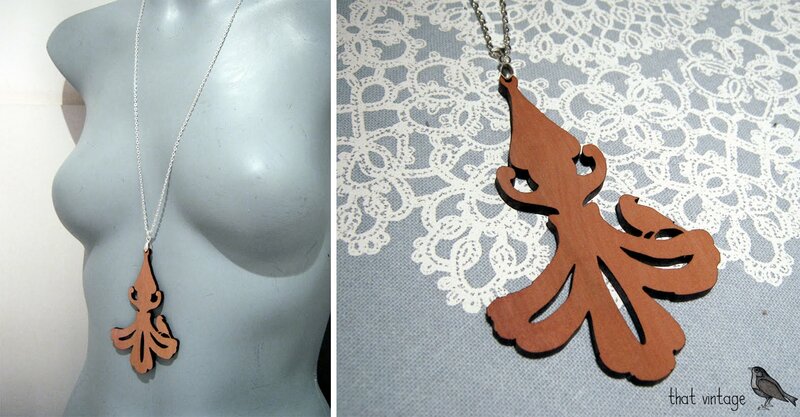 One of the newest pieces for the next That Vintage range, which will be released very soon! 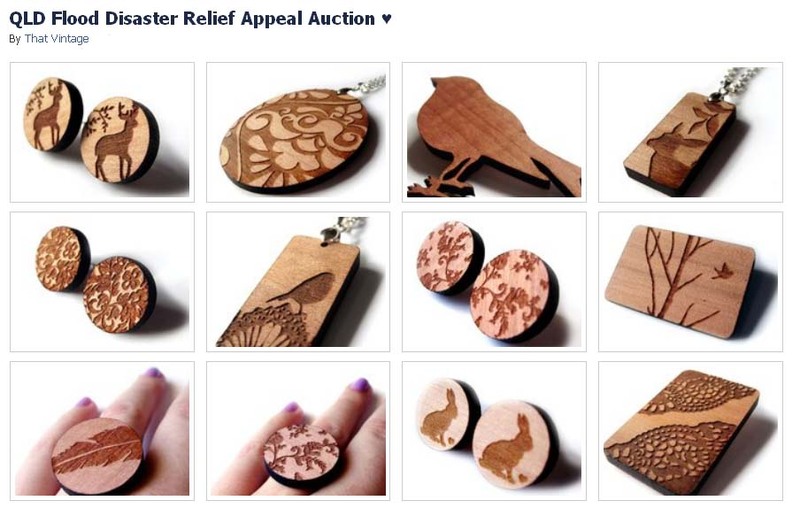 Queensland Flood Relief Appeal auction album on Facebook. 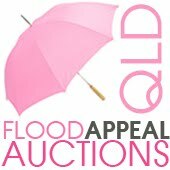 The auction finished Monday 9:00am 24th January - all winners have been contacted and the majority have already processed their donation/winning bid onto the official Premier's Queensland Flood Relief Appeal website. Never had I ever imagined my little jewellery label could drum up so much generosity from people! Thankyou to everyone who got involved with the auction - such a buzz and all for a very worthy cause! Picked By The People - Part Three. 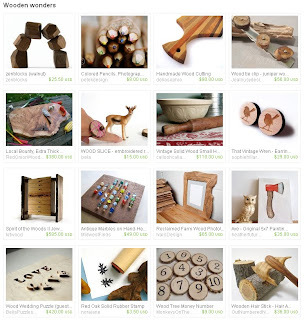 A few of the current Treasury lists on Etsy featuring a piece of That Vintage. 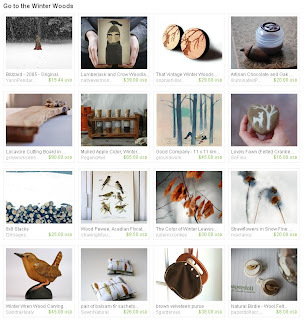 I really think that people's curating skills are rather awesome at the moment! Just a short update on the That Vintage Queensland Flood Disaster Relief Appeal Auction. 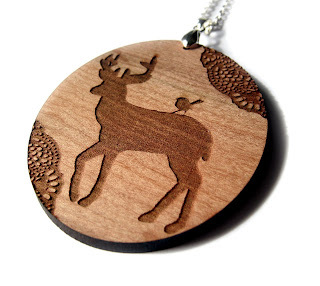 The pendant pictured above is sitting on a bid of $120 - this is crazy! 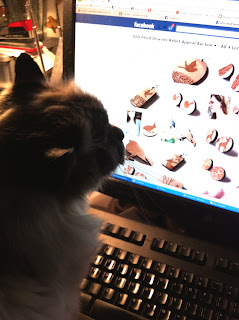 I'm so thrilled that the auction has been received like this! 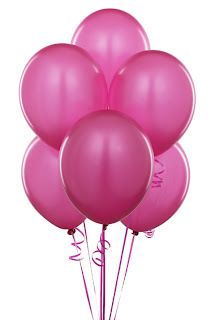 That Vintage has donated 50 auction lots up for grabs - two pendants have hit the $100.00 bidding mark already... this is incredible. I am completely in awe of people's generosity - all for a very worthy cause. So thankyou, to every single person who has bidded, "shared" and "liked" the That Vintage Facebook Auction. So. Much. Love. Such. Deep. Pockets. It has been just over 24 hours since the first album of auction items went up on the That Vintage Facebook page. I am incredibly moved by how people have responded to this idea. I am incredibly proud to call myself an Australian (well half of!) and love that this country is built on mate-ship, generosity and compassion. I never in my wildest dreams, thought that this sort of money would be raised with this auction event. Big Hearts & Deep Pockets. 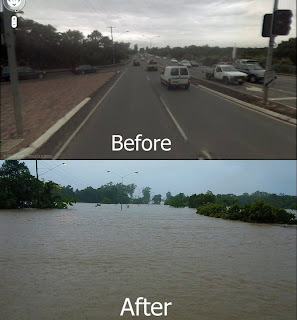 Caboolture - Queensland, floods of January 2011. 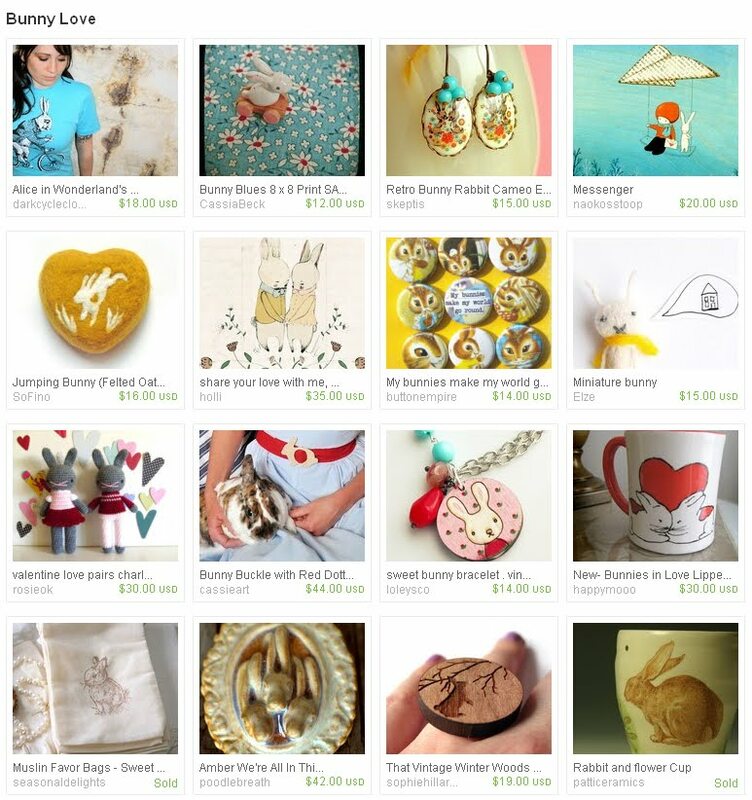 People's generous bids are just making me more and more inspired to donate more goods for auction - I can't believe it! I'm genuinely shocked at the response! Can you tell?! The tally of the bidding total at this point in time sits at $770.00 - wow. Have you done your bit?! Queensland Flood Disaster Relief Appeal Auction. I've been watching the horrible waves of water wash over parts of Queensland on the television. Some of the images have really got to me - the family of three stuck (literally) and stranded inside their 4WD in the middle of what looks like a muddy lake, the people waving from on top of the roof of their house which is almost 100% submerged in water, the constant updates from my fellow crafters and tweeters who are in and around the Brisbane area as the waters start to seep in... all of this has just made my skin prick up with oodles of goosebumps. So, That Vintage is doing its bit by having a 12 item Auction to raise funds for the Premier's Disaster Relief Appeal on the That Vintage Facebook page. The auction has started and will end on Monday, 24th January at 9am EDST. There is plenty of time to save the shrapnel from your daily coffee hit, and bid it on a piece of That Vintage that you get to keep, knowing that your bid is going to a good cause - be sure to tell all of those who you think would like to get in on the action and help out! I'm safe and dry down in Tasmania, so this is the least I could do. What have you done to help those in need? 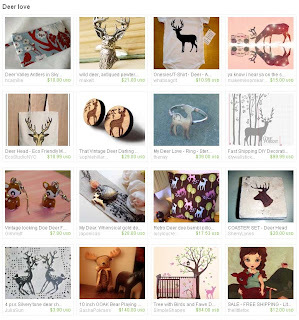 A pair of the Deer Darling Friend Stud Earrings are featured in this very cleverly curated "Deer Love" treasury on Etsy - I love deer! Labrador Blue & White Washed Love. Last night my mother and I dug around the shed for a particular colour of paint that we used in the house about six years ago - Labrador Blue - and bingo, we found it. We then attacked one of the old torso mannequins that we had lying around - and wella! Doesn't she look beautiful?! 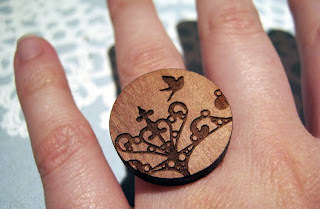 The other show-and-tell piece is my treasure find of the jewellery chest/cabinet from Coco Blue in Campbell Town. I love the white-washed look, it's a bit rough to touch but still functional! Flick Over To Channel Calm. A little preview of the new space. Having my "bread & butter" job in retail, has meant that I haven't really had holidays (so to speak) over the festive season - but I did have today free from work - yippee! At Coco Blue, I finally found a cushion in the perfect colour to match the new space for That Vintage - plus a gorgeous jewellery chest/cabinet - but more on that later! The colour theme I've gone for is a cool blue - very similar to that of "duck egg blue" - white and wood/wicker - the walls are white, and although my mother is trying to persuade me to do some wall-papering ...I must resist the urge! The room is rather narrow - but I *have* to keep reminding myself that I make jewellery, not furniture - so a huge space is not required!